Luke Cornish is an Australian artist, also known under the moniker ‘E.L.K’. He is creating unique, powerful images from handmade stencils and was the first artist to be nominated for the Archibald Prize with a portrait created entirely out of stencils. Growing up in Canberra, Cornish worked blue-collar jobs before picking up stencil art as a hobby in the early-2000s. All of his work is done by hand through cutting out sheets of recycled acetate with a scalpel. Some of Cornish’s stencils contain over 80 layers! The subject of his Archibald entry, the infamous ex-priest Father Bob Maguire, contains over 30 layers and was influenced by Cornish’s association of him with his own grandfather. An atheist, religious iconography occurs frequently in his work. Using up to 85 layers of carefully hand-cut acetate, he sprays layer upon layer of aerosol paint until his images bear a striking photographic resemblance: this is a new form of hyper-realism that is unlike what has been seen before. Formally known as E.L.K, he uses the tools of a street artist to create decadent, detailed works that envelop the viewer. There is an honesty to Cornish’s work, slicing back the layers and reconstructing his muses with astonishing deftness. The emotions that permeate through the eyes of his portraits have great depth, the shadows created by the stencils highlighting their anguish. His subjects all seem to share the same hardship and determination that Cornish himself has experienced, lending to a sense of dire reality in the unreality of his images. After a few small exhibitions across Australia, Cornish’s abilities began to attract public attention. 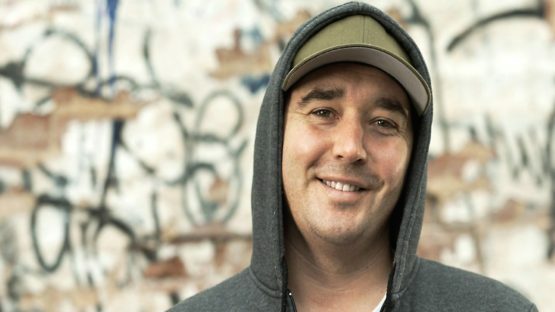 Over the past five years he has been granted many awards, including being granted the Churchill fellowship in 2013, being selected as a finalist in the Metro Art Prize of 2011, winning the Australian Stencil Art prize in 2010, the most popular stencil at Melbourne Stencil Festival in 2008, and creating a shortlisted Tropfest film on the making of his Archibald portrait. And finally, the Archibald itself. This represents a shift in the contemporary art world, as Cornish’s controversial nomination has proven that stencil is a viable fine art form that is now competing with more traditional methods. Cornish has continued to refine his craft, striving to push the boundaries of his medium and creating picture-perfect stencils. He has nuzzled his way into the fine art world, with work held in public and private collections around the world, most notably his portrait of former Australian Prime Minister Bob Hawke, which was acquired by the National Portrait Gallery of Australia in 2013. Luke Cornish is living and working in Sydney, Australia.